Artist’s impression of a black hole. NASA/JPL/Caltech. A black hole 10,000 light-years away from Earth was seen engulfing a nearby star into its center. NASA studied the X-rays (or light echoes) ricocheting off the black hole. Astronomers found that the corona in the black hole’s center shrunk signifcantly over time, which gave them an idea of how these objects may eventually evolve into supermassive black holes. You can watch a video of the black hole below. About 10,000 light years away from Earth, a black hole is engaged in a stellar feast, devouring the gases of a nearby star — and we’ve been watching. The stellar-mass black hole, around 10 times more massive than our sun, was discovered after a humongous X-ray flare in March 2018. It was originally detected by a specialized instrument aboard the International Space Station, operated by the Japanese Aerospace and Exploration Agency, known as the Monitor of All-sky X-ray Image (MAXI). After the X-ray burst captivated astronomers, researchers at MIT, the University of Maryland and NASA swung another instrument on board the station to watch what happened to the black hole, nicknamed J1820. It’s embarrassing when people watch you eat, but J1820 was none the wiser as NASA swung the Neutron star Interior Composition Explorer (NICER) to monitor its buffet. NICER continued to detect waves of X-ray light bouncing away from the black hole, called “light echoes”, which demonstrated how the black hole’s size and shape was changing over time. “NICER has allowed us to measure light echoes closer to a stellar-mass black hole than ever before,” said first author Erin Kara. The research, published on Jan. 10 in Nature, provides some tantalizing new evidence about the way a black hole evolves once it gobbles up a star. The major takeaway for the team was the the black hole’s corona was shrinking. Now, let’s back up — what does that actually mean? A black hole is a collapsed star with a core so dense that it has near-unimaginable gravitational power. Its gravity is so powerful that nothing — no particles, no light — can escape its pull. When a black hole begins to eat up a star, the star’s gases swirl around its gravitational center in a ring known as an accretion disk. Above that you have the corona: an extremely energetic region of subatomic particles. Because MAXI had caught the black hole’s initial outburst, the team began studying the X-rays emitted from the black hole over a month, measuring how they bounced off the accretion disk. By measuring the X-rays from the initial outburst and those received later on (the “light echoes”), the team could determine that the corona had shrunk from around 100 kilometers (around 62 miles) to just 10 (around 6 miles). “This is the first time that we’ve seen this kind of evidence that it’s the corona shrinking during this particular phase of outburst evolution,” said Jack Steiner, an astrophysicist with MIT. The team noted that generally, light echoes are only seen bouncing away from supermassive black holes, like the one at the center of the Milky Way, rather than this comparatively small stellar mass black hole. However, here, NICER — which was designed to examine faint, dense neutron stars — was crucial to precisely measuring them. But why the corona contracted in such a way remains a mystery. Steiner hypothesizes that as the gaseous accretion disk begins falling into the black hole, incredibly high pressures squeeze the corona’s particles and thus that leads to the cosmic shrinkage we see. Understanding the various parts of a black hole, such as the accretion disk or the corona, provide ways to study how black holes change over time. Although the study only looked at a stellar-mass black hole, at 10 times the mass of the sun, it may provide clues as to how black holes evolve to become “supermassive” and how that may influence the galaxies that swirl around them. The US has accused Russian hackers of infiltrating US power companies last year and having the ability to cause widespread blackouts. While the hack appears to have been first reported by Symantec in 2017, the Department of Homeland Security on Monday for the first time provided detailed, unclassified information. Attacks began in 2016 and are likely to still be ongoing, DHS said. Russian hackers infiltrated US electric utilities last year and had the ability to cause widespread blackouts, the Department of Homeland Security said in a briefing on Monday. The agency said attacks began in 2016 and continued through 2017, and DHS officials said the campaign was most likely still ongoing. By first penetrating the networks of power companies’ trusted vendors, hackers for Dragonfly, also known as Energetic Bear, were able to access utility networks, The Wall Street Journal reported Monday, citing officials at the DHS. Russians used email phishing scams and fake websites to gain access to corporate networks. “They got to the point where they could have thrown switches” and caused power failures, said Jonathan Homer, the chief of industrial-control-system analysis for DHS. Experts told The Journal it was unclear whether the attack was done in isolation or in preparation for a larger operation. The DHS confirmation comes amid increasingly tense relations between Moscow and Washington. Earlier this month, 12 Russian intelligence agents were indicted in relation to the hacking of the Democratic National Committee before the 2016 US election. By now, you might be familiar with the concept of particle accelerators through the work of the Large Hadron Collider (LHC), the monstrous accelerator that enabled scientists to detect the Higgs boson. But the LHC is not alone – the world is equipped with more than 30,000 particle accelerators that are used for a seemingly endless variety of tasks. Some of these machines, like the LHC, accelerate particles to nearly the speed of light to smash them together and probe the fundamental building blocks of our universe. Others are used to seal milk cartons and bags of potato chips. 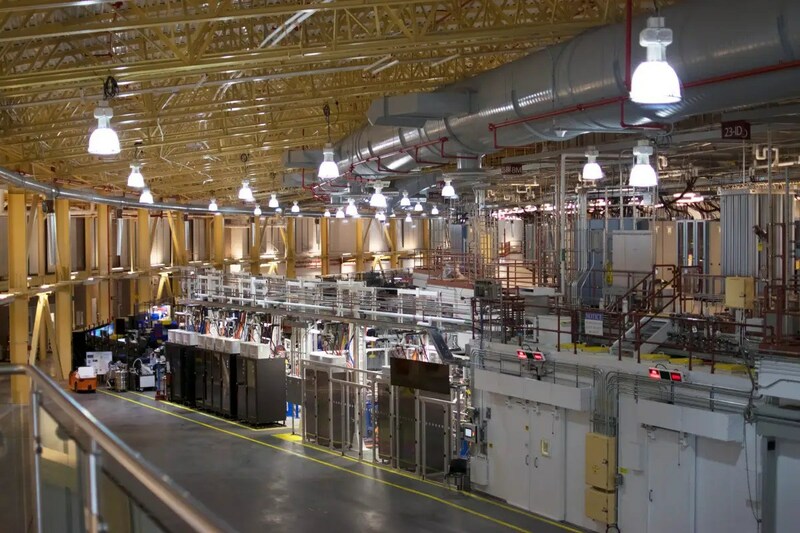 Brookhaven National Laboratory in New York is home to one of the world’s most advanced particle accelerators: the National Synchrotron Light Source II (NSLS II). The NSLS II will allow researchers to do a wide range of science varying from developing better drug treatments, to building more advanced computer chips, to analysing everything from the molecules in your body to the soil you walk on. When scientists accelerate particles to these crazy speeds in the NSLS II, they force them to release energy which they can manipulate to do a mind-boggling array of different experiments. As electrons moving at nearly the speed of light go around turns, they lose energy in the form of radiation, such as X-rays. The X-rays produced at the NSLS II are extremely bright – a billion times brighter than the X-ray machine at your dentist’s office. When scientists focus this extremely bright light onto a very small spot, it allows them to probe matter at an atomic scale. It’s kind of like a microscope on steroids. Here’s how the NSLS II pushes particles to 99.99 percent the speed of light – all in the name of science. First, the electron gun generates electron beams and feeds them into the linear accelerator, or linac. 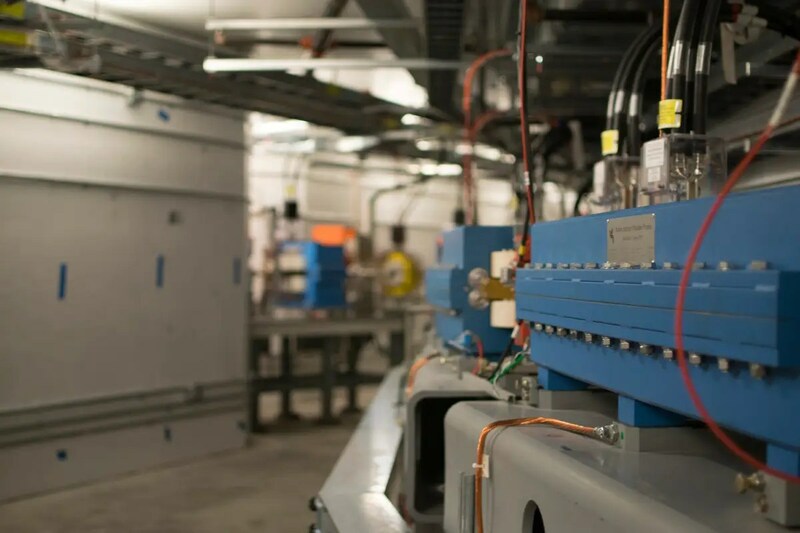 In the linac, electromagnets and microwave radio-frequency fields are used to accelerate the electrons, which must travel in a vacuum to ensure they don’t bump into other particles and slow down. 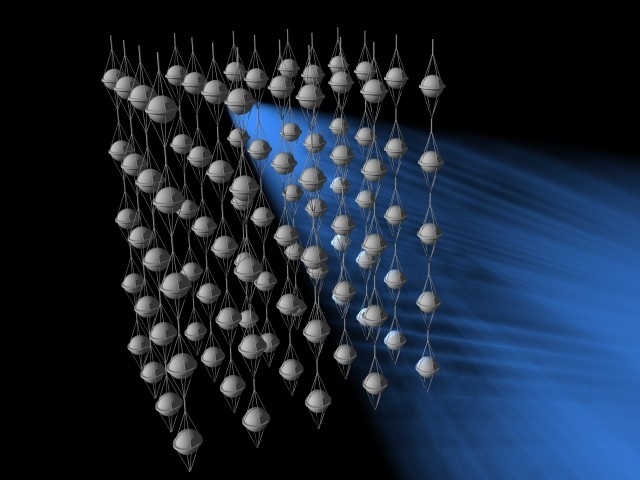 Next, the electrons enter a booster ring, where magnets and radio-frequency fields accelerate them to approximately 99.9 percent percent the speed of light. Then they are injected into a circular ring called a storage ring. 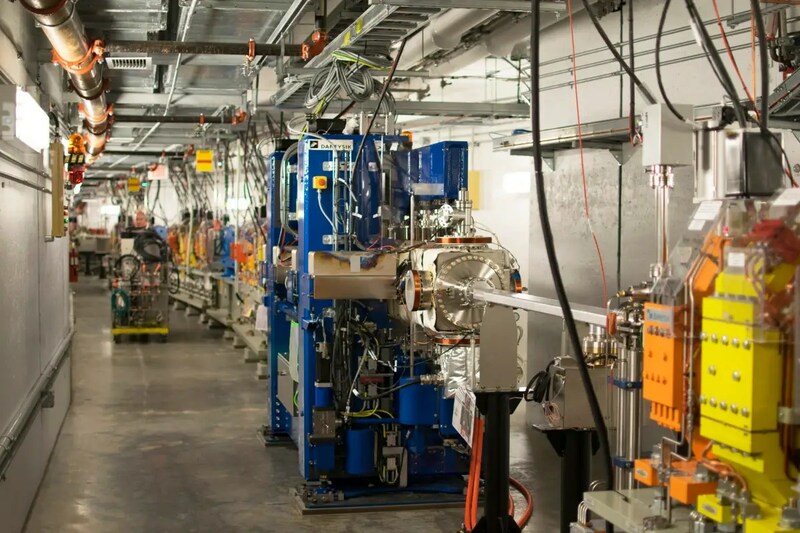 In the storage ring, the electrons are steered by an assortment of magnets. The blue magnets bend the motion of the electrons, the yellow magnets focus and defocus the path of the electrons, and the red and orange magnets take outlying electrons and bring them into a closer path. The smaller magnets are corrector magnets, which keep the beam in line. This is an insertion device in the storage ring. Insertion devices are magnetic structures that wiggle the electron beam as it passes through the device. This produces an extremely bright and focused beam. As the electrons go around turns in the storage ring, they decelerate slightly, losing energy. 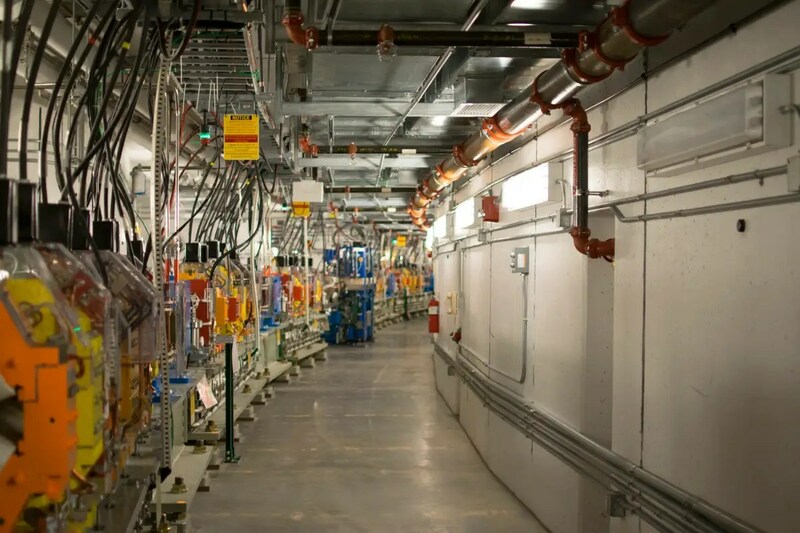 The lost energy can be converted into different forms of electromagnetic radiation, such as X-rays, that are directed down beamlines running in straight lines tangential to the storage ring. At the end of the beamline, the X-rays crash into samples of whatever material is the subject of the experiment. 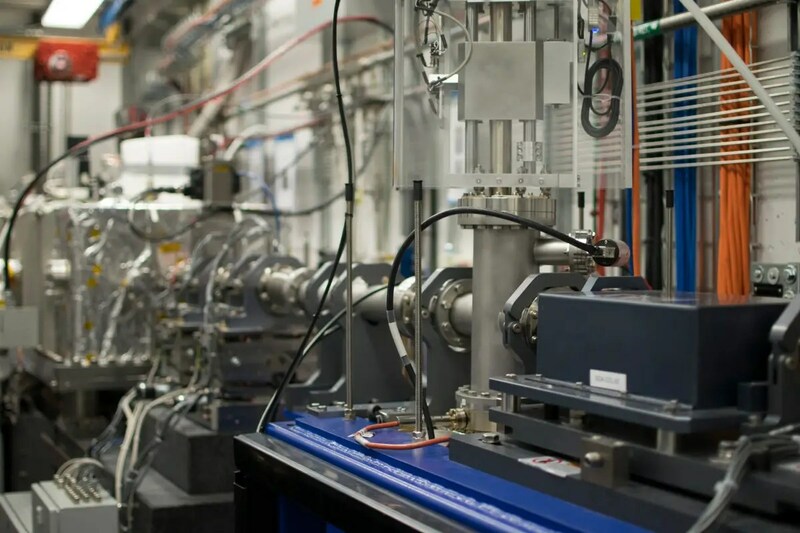 This is an X-ray spectroscopy beamline, where scientists analyse the chemical composition of materials by exciting the electrons in an atom. The circumference of the NSLS-II is so big, nearly half a mile, that many people working there travel around on tricycles. The NSLS II is still in the early stages of its development, having just taken over for its successor (the NSLS), in 2014. When it’s complete, it will be able to accommodate about 70 different beamlines. On the night of October 15, 1991, the “Oh-My-God” particle streaked across the Utah sky. A cosmic ray from space, it possessed 320 exa-electron volts (EeV) of energy, millions of times more than particles attain at the Large Hadron Collider, the most powerful accelerator ever built by humans. The particle was going so fast that in a yearlong race with light, it would have lost by mere thousandths of a hair. Its energy equaled that of a bowling ball dropped on a toe. But bowling balls contain as many atoms as there are stars. “Nobody ever thought you could concentrate so much energy into a single particle before,” said David Kieda, an astrophysicist at the University of Utah. Five or so miles from where it fell, a researcher worked his shift inside an old, rat-infested trailer parked atop a desert mountain. Earlier, at dusk, Mengzhi “Steven” Luo had switched on the computers for the Fly’s Eye detector, an array of dozens of spherical mirrors that dotted the barren ground outside. Each of the mirrors was bolted inside a rotating “can” fashioned from a section of culvert, which faced downward during the day to keep the sun from blowing out its sensors. As darkness fell on a clear and moonless night, Luo rolled the cans up toward the sky. 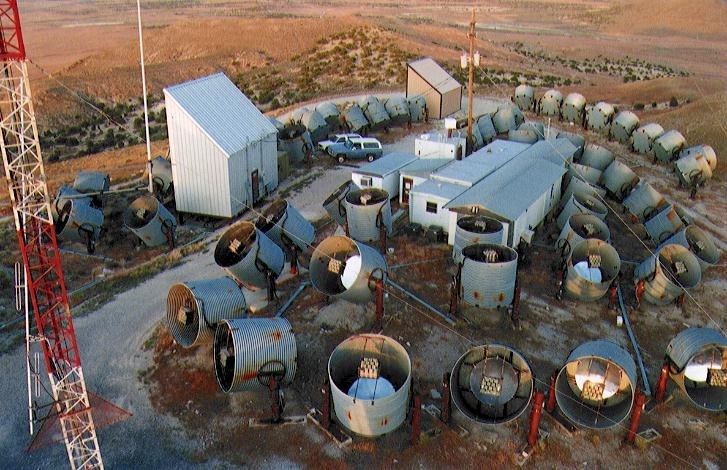 The Fly’s Eye array operated out of Dugway Proving Ground, a military base in the desert of western Utah, from 1981 to 1993; it pioneered the “air fluorescence technique” for determining the energies and directions of ultra high-energy cosmic rays based on faint light emitted by nitrogen air molecules as the cosmic-ray air shower traverses the atmosphere. In 1991, the Fly’s Eye detected a cosmic ray that still holds the world record for highest-energy particle. The faintly glowing contrail of the Oh-My-God particle (as the computer programmer and Autodesk founder John Walker dubbed it in an early Web article) was spotted in the Fly’s Eye data the following summer and reported after the group spent an extra year convincing themselves the signal was real. The particle had broken a cosmic speed limit worked out decades earlier by Kenneth Greisen, Georgiy Zatsepin and Vadim Kuzmin, who argued that any particle energized beyond approximately 60 EeV will interact with background radiation that pervades space, thereby quickly shedding energy and slowing down. This “GZK cutoff” suggested that the Oh-My-God particle must have originated recently and nearby — probably within the local supercluster of galaxies. But an astrophysical accelerator of unimagined size and power would be required to produce such a particle. When scientists looked in the direction from which the particle had come, they could see nothing of the kind. “It’s like you’ve got a gorilla in your backyard throwing bowling balls at you, but he’s invisible,” Kieda said. Only recently, with the discovery of a cosmic ray “hotspot” in the sky, the detection of related high-energy cosmic particles, and a better understanding of physics at more familiar energies, have researchers secured the first footholds in the quest to understand ultrahigh-energy cosmic rays. “We’re learning things very rapidly,” said Tim Linden, a theoretical astrophysicist at the University of Chicago. Thousands of cosmic rays bombard each square foot of Earth’s atmosphere every second, and yet they managed to elude discovery until a series of daring hot-air-balloon rides in the early 1910s. As the Austrian physicist Victor Hess ascended miles into the atmosphere, he observed that the amount of ionizing radiation increased with altitude. Hess measured this buzz of electrically charged particles even during a solar eclipse, establishing that much of it came from beyond the sun. He received a Nobel Prize in physics for his efforts in 1936. Cosmic rays, as they became known, arc through Earth’s magnetic field from every direction, and with a smooth spread of energies. (At sea level, we experience the low-energy, secondary radiation produced as the cosmic rays crash through the atmosphere.) Most cosmic rays are single protons, the positively charged building blocks of atomic nuclei; most of the rest are heavier nuclei, and a few are electrons. The more energetic a cosmic ray is, the rarer it is. The rarest of all, those that are labeled “ultrahigh-energy” and exceed 1 EeV, strike each square kilometer of the planet only once per century. Plotting the number of cosmic rays that sprinkle detectors according to their energies produces a downward-sloping line with two bends — the energy spectrum’s “knee” and “ankle.” These seem to mark transitions to different types of cosmic rays or progressively larger and more powerful sources. The question is, which types, and which sources? Like many experts, Karl-Heinz Kampert, a professor of astrophysics at the University of Wuppertal in Germany and spokesperson for the Pierre Auger Observatory, the world’s largest ultrahigh-energy cosmic ray detector, believes cosmic rays are accelerated by something like the sonic booms from supersonic jets, but on grander scales. Cosmic rays are most likely energized through “shock acceleration,” reflecting back and forth across a shock wave that is produced when plasma flows faster than the speed of sound. The stronger and larger the magnetic field of the plasma, the more energy it can impart to a particle. Ultrahigh-energy cosmic rays surpass 1 exa-electron volt (EeV). Trying to match different shock waves to parts of the cosmic-ray energy spectrum puts astrophysicists on shaky ground, however. They would expect the knee and ankle to mark the highest points to which protons and heavier nuclei (respectively) can be energized in the shock waves of supernovas — the most powerful accelerators in our galaxy. Calculations suggest the protons should max out around 0.001 EeV, and indeed, this aligns with the knee. 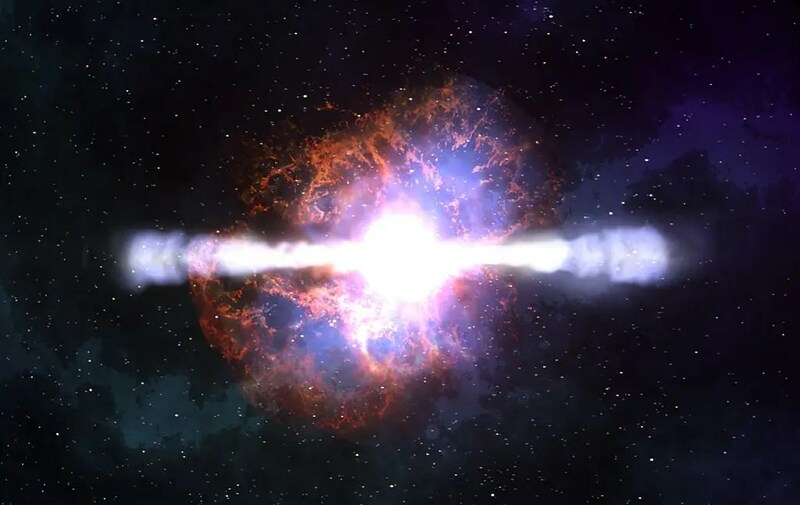 Heavier nuclei from supernova shock waves are thought to be capable of reaching 0.1 EeV, making this number the expected transition point to more powerful sources of “extragalactic” cosmic rays. These would be shock waves from singular objects that aren’t found in the Milky Way or in most other galaxies, and which could well be galaxy-size themselves. However, the measured ankle of the spectrum — “the only place where it looks like there’s a clear transition,” Sommers said — lies around 5 EeV, an order of magnitude past the theoretical maximum for galactic cosmic rays. No one is sure what to make of the discrepancy. Past the ankle, at around 60 EeV, the line dips toward zero, forming a sort of toe. This is probably the GZK cutoff, the point beyond which cosmic rays can only tarry for so long before losing energy to ambient cosmic microwaves generated by a phase transition in the early universe. The existence of the cutoff, which Kampert calls “the only firm prediction ever made” about cosmic rays, was established in 2007 by the Fly’s Eye’s successor — the High Resolution Fly’s Eye experiment, or HiRes. From there, the energy spectrum reduces to a trickle of trans-GZK cosmic rays, finally ending, at 320 EeV, with a single data point: the Oh-My-God particle. The presence of the GZK cutoff means that the laws of physics are operating as expected. Rather than disproving those laws, trans-GZK cosmic rays probably do originate nearby (reaching Earth before ambient microwaves sap their energy). But where, and how? For a maddening 20 years, the particles appeared to come from everywhere and nowhere in particular. But finally a hotspot has developed in the Northern Hemisphere. Could this be the invisible gorilla hurtling bowling balls toward Earth? In Utah, a three-hour drive from the site of the original Fly’s Eye, its latest descendant sprawls across the desert: a 762-square-kilometer grid of detectors called the Telescope Array. 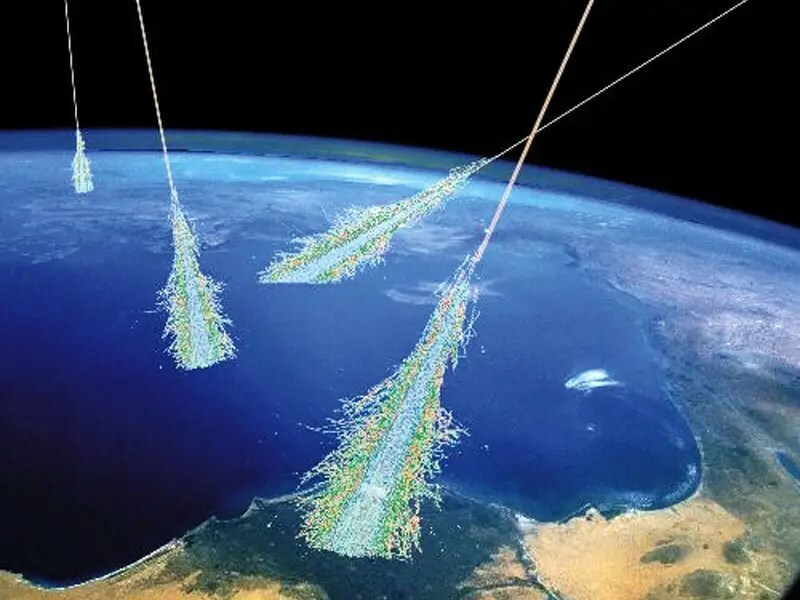 The experiment has been tracking the multi-billion-particle “air showers” produced by ultrahigh-energy cosmic rays since 2008. “We’ve been watching the hotspot increase in statistical significance for several years,” said Gordon Thomson, a professor of physics and astronomy at the University of Utah and spokesperson for the Telescope Array. Of the 87 cosmic rays surpassing 57 EeV detected thus far by the Telescope Array, 27 percent come from 6 percent of the sky. The hotspot centers on the constellation Ursa Major. The hotspot of trans-GZK cosmic rays, which centers on the constellation Ursa Major, was initially too weak to be taken seriously. But in the past year, it has reached an estimated statistical significance of “four sigma,” giving it a 99.994 percent chance of being real. Thomson and his team must reach five-sigma certainty to definitively claim a discovery. (Thomson hopes this will happen in the group’s next data analysis, due out in June.) Already, theorists are treating the hotspot as an anchor for their ideas. “It’s really exciting,” said Linden. With more data, he explained, the location of the source can be pinpointed within the hotspot (which gets smeared out by the deflection of cosmic rays as they pass through the galaxy’s and Earth’s magnetic fields). By tracking other types of particles coming from the same spot in the sky, “you have a model of how the source works over many orders of magnitude in energy,” he said. The invisible gorilla would materialize. Meanwhile, some of those other particles are slowly piling up in the sensors of the IceCube detector, a cable-infused, cubic-kilometer block of ice buried beneath the South Pole. 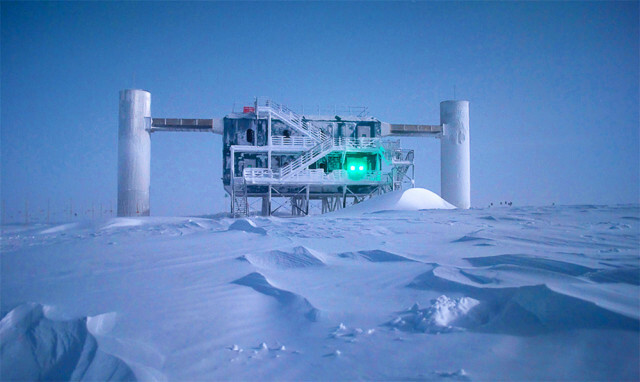 For the past four years, IceCube has monitored the rare ice tracks of neutrinos, lightweight elementary particles that usually flit right through matter and thus require immense efforts to detect, but which are produced in abundance from physical processes throughout the universe. Every so often, cosmic neutrinos interact with atoms and produce radiation as they pass through IceCube; their directions of travel trace a new map of the cosmos that can be compared to the maps of ultrahigh-energy cosmic rays and those of light. In 2013, IceCube scientists reported the observation of the first-ever very-high-energy neutrinos — a pair of 0.001-EeV particles nicknamed “Bert” and “Ernie” that might have come from the same sources that yield ultrahigh-energy cosmic rays. Neutrinos have a big advantage over cosmic rays as messengers from the most powerful objects in the universe: Because they are electrically neutral, they move in straight lines. 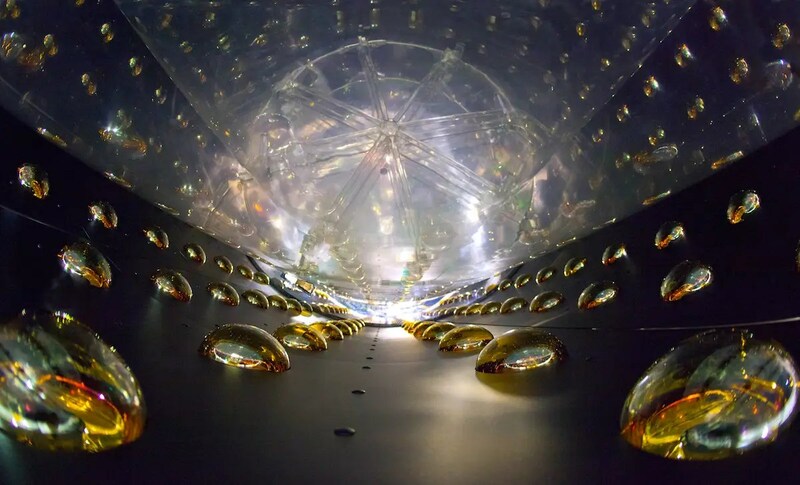 “Since neutrinos travel to us uninhibited from the source, they might be able to open up a new window on the universe,” said Olga Botner of Uppsala University in Sweden, IceCube’s spokesperson. 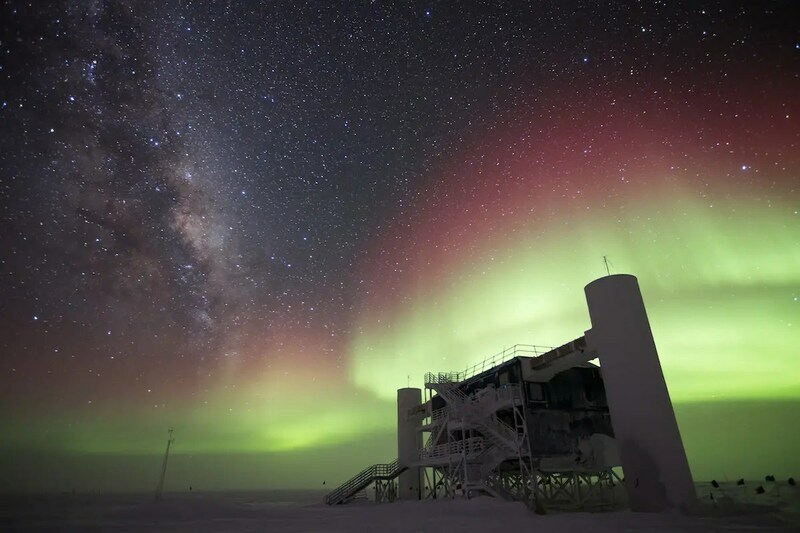 At the South Pole, the IceCube Neutrino Observatory is approaching the mystery of ultrahigh-energy cosmic rays by hunting related cosmic neutrinos, which interact with atoms every so often while passing through the sensor-infused, cubic-kilometer block of ice. 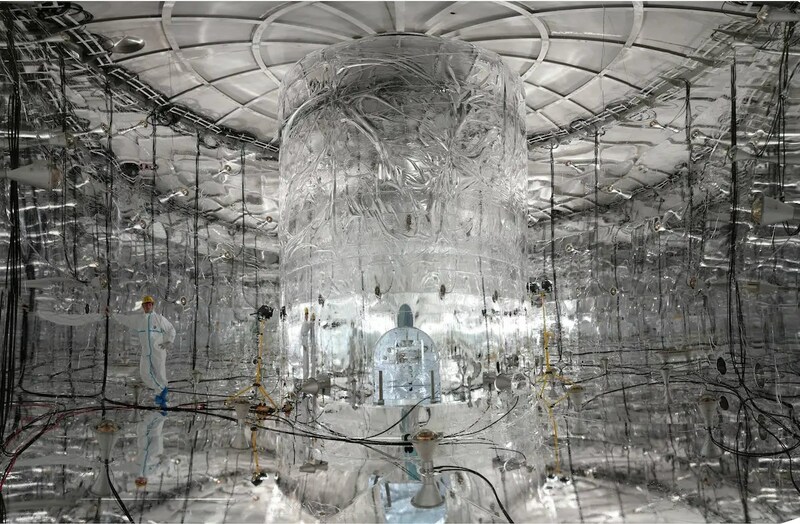 Of the 54 high-energy neutrinos that IceCube has detected as of its latest analysis, reported in early May, four originate from the vicinity of the cosmic-ray hotspot. 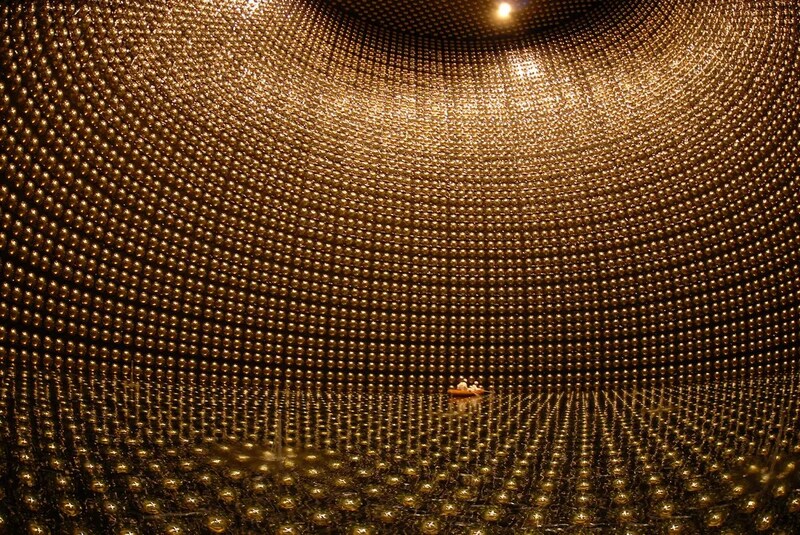 (Neutrinos can enter the detector after traveling through Earth from the northern sky.) 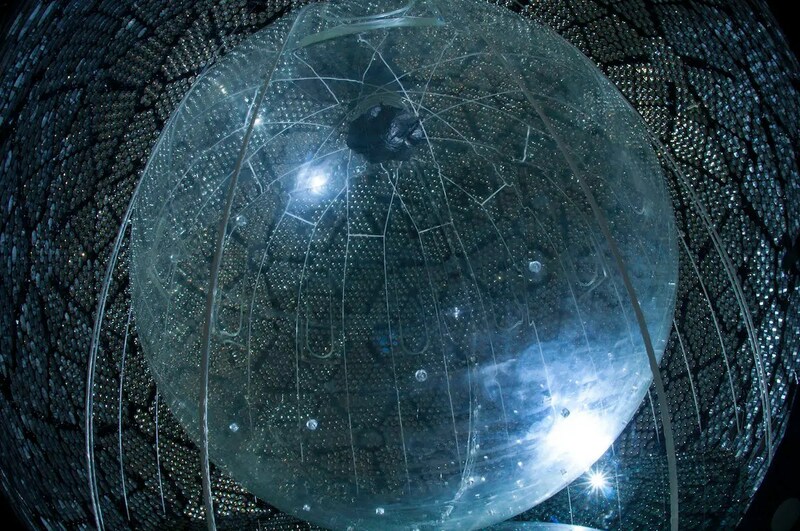 This “hint of a correlation,” as Linden described it, could be a clue: Cosmic rays take longer to get to Earth than neutrinos, so a common source would have to have been pumping out energetic particles for many years. Short-lived source candidates such as gamma-ray bursts would be ruled out in favor of stable objects — perhaps a star-forming galaxy with a supermassive black hole at its center. “In the next few years we’re going to get that many more neutrinos, and we’ll see how this correlation plays out,” Linden said. For now, though, the correlation is very weak. “I’m not staking my foot in the ground,” he said. Alongside cosmic rays and neutrinos, cosmic “gamma rays” (high-energy photons) will serve as a third messenger in the coming years. 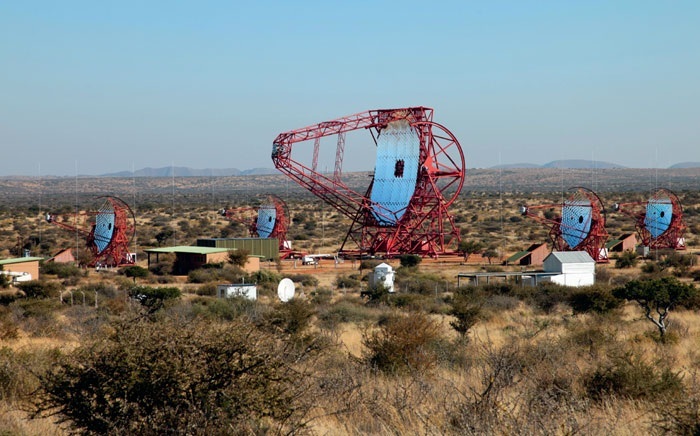 They’re the subject of several major searches including the HESS (High Energy Stereoscopic System) experiment in Namibia — named in honor of the father of cosmic rays — and VERITAS (Very Energetic Radiation Imaging Telescope Array System) in Arizona, for which Kieda, the former Fly’s Eye scientist, now works. The combination of cosmic-ray, neutrino and gamma-ray data should help locate and sharpen astrophysicists’ picture of the most powerful accelerators in the universe. The search will organize around the hotspot. Kampert, of the Pierre Auger Observatory, is approaching the mystery of ultrahigh-energy cosmic rays from a different direction, by asking: What are they? Some astrophysicists say the Auger Observatory has been “unlucky.” Covering 3,000 square kilometers of Argentina grasslands, it collects far more data than the Telescope Array, but it does not see a hotspot in the Southern Hemisphere with anywhere near the prominence of the one in the north. 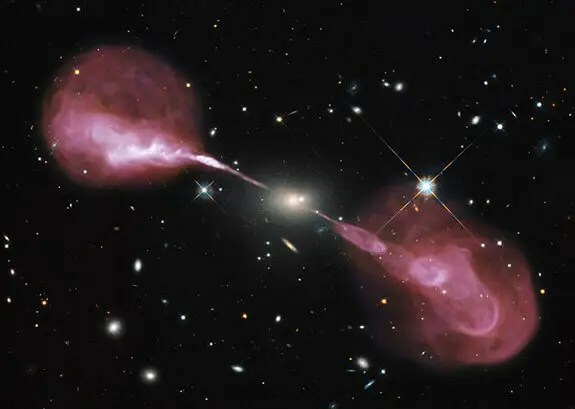 It has detected evidence of a slight concentration of trans-GZK cosmic rays in the sky that overlays an active galactic nucleus called Centaurus A as well as another filament. But Kampert says Auger might never collect enough data to prove this so-called “warm spot” is real. Still, the dearth of clues is a mystery in itself. Kampert thinks he and his colleagues must simply get smarter about how they look for hotspots, which are surely there; the local region of the universe is not uniformly blanketed by objects capable of accelerating particles to trans-GZK energies. The problem is magnetic deflection, he said. Galactic and extragalactic magnetic fields bend protons five to 10 degrees off-course, and they bend heavier nuclei many times that, depending on the number of protons they contain. Auger’s analysis of its air-shower events (which integrates cutting-edge results from particle collisions at the Large Hadron Collider) suggests that the highest-energy cosmic rays tend to be on the heavy side, consisting of carbon or even iron nuclei. He and his team hope to update their experiment with the ability to identify the composition of cosmic rays on an event-by-event basis. This will allow them to look for correlations between only the lightest, least deflected particles. “Composition is really the key to understanding the origin of the highest-energy particles,” he said. And the shift toward heavier nuclei at the far end of the cosmic-ray energy spectrum could be a major clue itself. Just as supernovas accelerate protons no further than the “knee” of the spectrum and can propel only heavier nuclei beyond that point, so too might the most powerful astrophysical accelerators in the universe peter out. Scientists could be glimpsing the true edge of the cosmic-ray spectrum: the points where protons, and then helium, carbon and iron, max out. Measuring this falloff will help expose how the giant accelerators work — and favor certain candidates over others. The error bars that went into calculating the Oh-My-God particle’s energy might all have been off in the wrong direction at the same time. 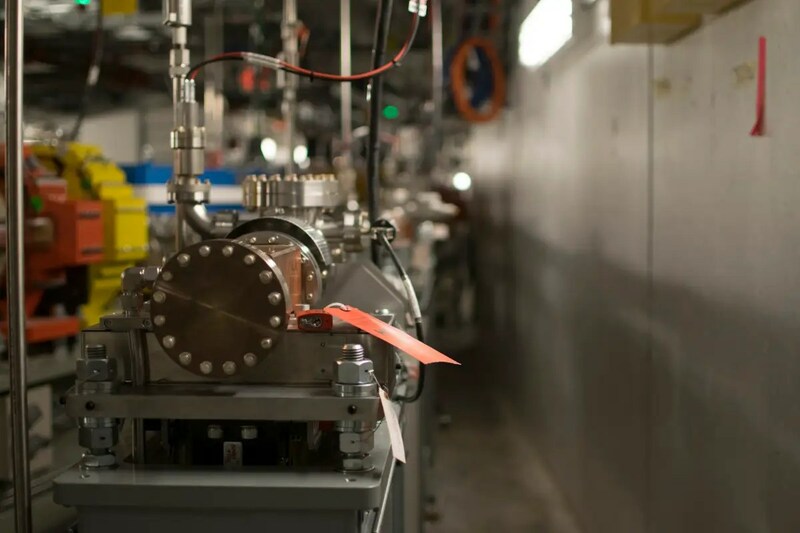 If so, it was a lucky mistake for the field, motivating new experiments without greatly misleading researchers, since many other trans-GZK particles have followed. And if the Oh-My-God particle was a mistake, well, probably no one will ever know.